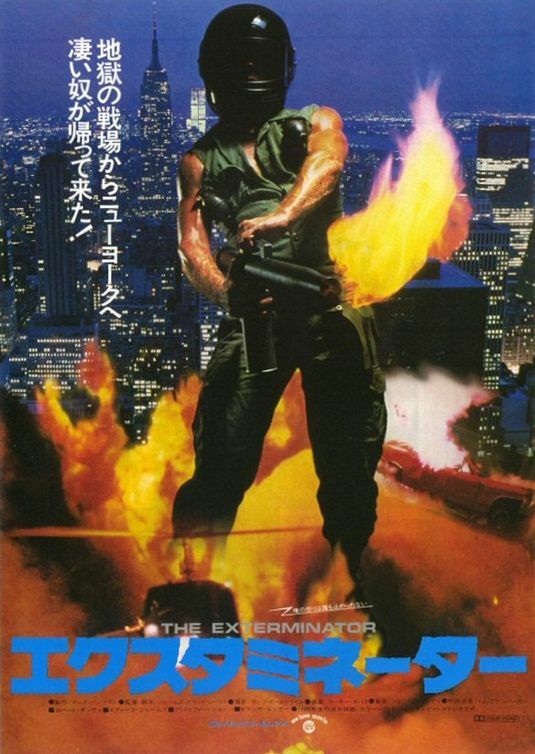 It's been a while since I last saw James Glickenhaus' vigilante action thriller The Exterminator, and in that time I'd forgotten just how seedy it is. The film features some of the most grotesque and reprehensible characters you'll find in movies and is packed full of exploitation goodness. 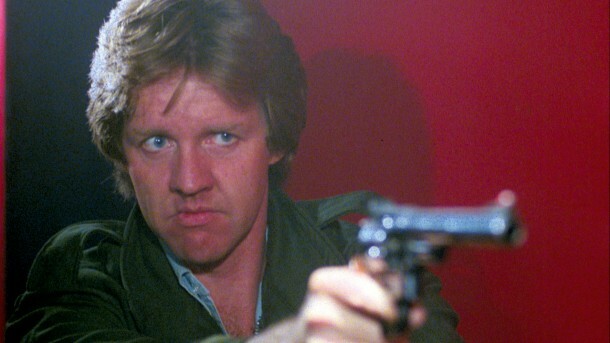 John Eastland (Robert Ginty), a vietnam vet, sets out to clean up New York after his best buddy Michael (Steve James) is paralysed by a gang called The Ghetto Ghouls. Eastland nicknames himself The Exterminator and lives up to the name as he relishes his task. Attracting not only the attention of the police, in the form of Detective Dalton (Christopher George), but the C.I.A as well and they aren't looking to play nice. From it's obviously fake but undeniably effective Vietnam prologue (complete with one of the best decapitation effects I've ever seen), the violence flows freely, from the horribly unsavoury to the darkly comic, Glickenhaus covers just about all bases. The script is mostly played straight but has some fun dialogue including Ginty's catchphrase, "If you're lying, I'll be back". The cast is good, with plenty of memorable sleaze bags which a film like this needs, and Christopher George's cop giving good support to Ginty. Steve James, doesn't get enough to do and is pretty much wasted unfortunately. Ginty himself occasionally feels like he's in the wrong film but I couldn't help liking him anyway. The biggest star of The Exterminator though is the thick, grimy atmosphere provided free of charge by the streets of New York, which for a modestly budgeted film like this is priceless. The Exterminator holds up pretty well as the exploitation film it is, while elements of the film try to suggest Glickenhaus was aiming for something more, the screenplay has too many holes and a little too much stupidity to achieve anything higher than a Saturday night beer and friends movie, and there is absolutely nothing wrong with that. 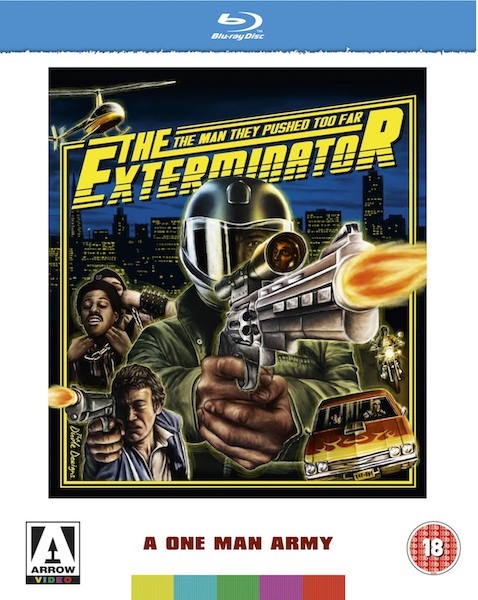 Arrow's blu ray release of James Glickenhaus' The Exterminator features a solid presentation of the film, with mostly good image and audio quality that varies a little from scene to scene, giving the impression the transfer was created from varying sources. Synapse released the film on blu in the US, I haven't seen that disc to comment on, but while the US version has a commentary from Glickenhaus, the Arrow disc has a few exclusive extras and although I'm not always a fan of the Arrow extras this disc has the best extra I've seen for a while, in the form of 42nd Street Then and Now. Frank Henenlotter, the director of amongst others Basket Case and Frankenhooker, is our host as he talks us through the heyday of 42nd Street's grindhouse film culture through to the homogenised tourist trap it is today. 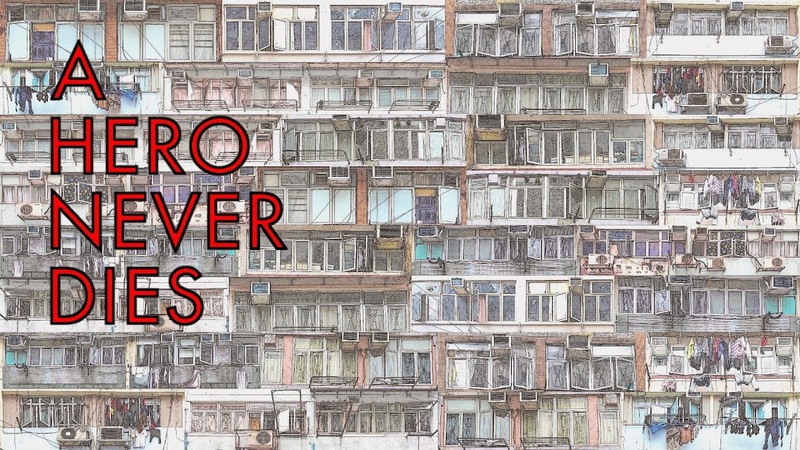 Using brief clips from the film along with archive photos, the sheer amount of genre film titles shown on the cinema marquees is amazing, and a huge loss to genre film fans. It's a fascinating subject that deserves more time than the 15 minute tease we get here. Henenlotter is a wonderful host, packing as much info and as many anecdotes as he can in the time he has, he clearly loves his subject. The feeling of sadness and anger at what has become of 42nd Street feels completely genuine, and I don't know if his eyes are just irritated or if it is emotion from his reminiscences but in some shots he can be seen wiping tears from his cheeks as he speaks. This is great! I've actually had this on DVD for a while, but still haven't gotten to it yet. You, along with Matt over at Direct to Video Connoisseur (who also just did a review) have pretty much gotten me excited enough to finally sit down to watch it. Honestly I did not get this movie and actually found myself getting pretty bored, especially with the mindless subplot involving Dalton, were he spends pretty much the whole film trying to hit on that doctor. It's also intresting that other releases including those for the Sequel, show him wearing a motorcycle helmet which is a look we never see once throughout. Given the choice I'd rather dig out "Death Wish 3" for mindless vigilantism and especially as Bronson, brings so much more charisma to the task of cleaning up the streets of scumbags than Ginty can muster. Perhaps it was the half assed introduction this film came with, from a skitish looking Jake West, when it was shown on "The Horror Channel which put me in a bad mood when I saw this, but can't say I'll be rushing back to this one. Great post Mart, this one has slipped my radar and I wasn't sure if it was out or not. I agree about the decapitation in the opening reel - it really is spectacular. I must try to unearth the sequel but from what I've investigated so far, there only seems to be fuzzy VHS ports going around. Still I don't remember it being a good movie... I'm wondering if the 42nd Street Then and Now extra was the same one included on the Something Weird edition of Basket Case. I love seeing the old 42nd street locales in movies as well but I'm pretty positive that it would not have been my scene back in the day. Reading Bill Landis' tour thru 42nd Street in the Sleazoid Express book, it sounds like you were taking your life in your hands when you saw films at The Cameo or The Rialto. Definitely a different kind of movie-going experience. Imagine seeing a late show of The Exterminator or Maniac on Times Square, and then having to make your way home thru the urban jungle ! Incredible ! rG. 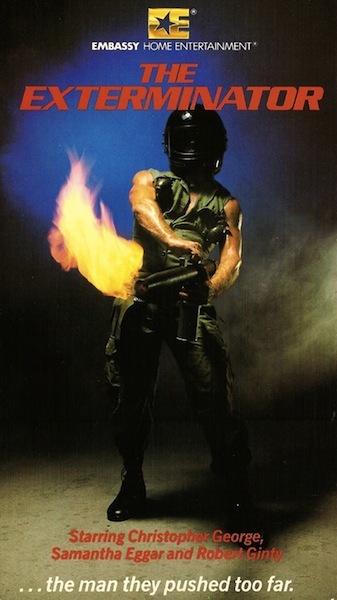 I don't think you will be disappointed with The Exterminator. Elwood. Thanks for commenting. I get all your points, it is certainly rough around the edges but I like Christopher George in this, even though he could quite easily not be in there at all and the film wouldn't have lost anything really. Deathwish 3 is awesome and ridiculous fun and Bronson is obviously the way to go if you're looking for a badass vigilante, no arguments there! Wes. I haven't seen the Basket Case blu ray but from what I can gather, it isn't the same extra on The Exterminator disc. The whole 42nd street thing is a fascinating subject, and yes I'm not sure how comfortable I would have been there but I felt the same way when I went to the Scala and that was an exhilarating experience, knowing all the great things that had been shown there and it's history. In reality though I'd probably have tried it once and shouted I'm a celebrity get me out of here! Is Sleazoid express worth picking up? No one has answered on my book question, if there isn't one, someone should write it before it's forgotten.